A North East firm is giving youngsters the chance to explore planet Earth from the comfort of their own home. Sunderland-based Geo Journey is a monthly subscription box that inspires children to become international globetrotters – adventuring across deserts, scaling mountains and visiting some of the most exotic cities in the world. Christina Armstrong, founder of Geo Journey, came up with the idea for the business in 2015. Subscribers receive a package each month from characters “Geo” and “Atlas”, with gifts like a boomerang from Australia or clogs from Amsterdam, and messages educating youngsters about a variety of countries. 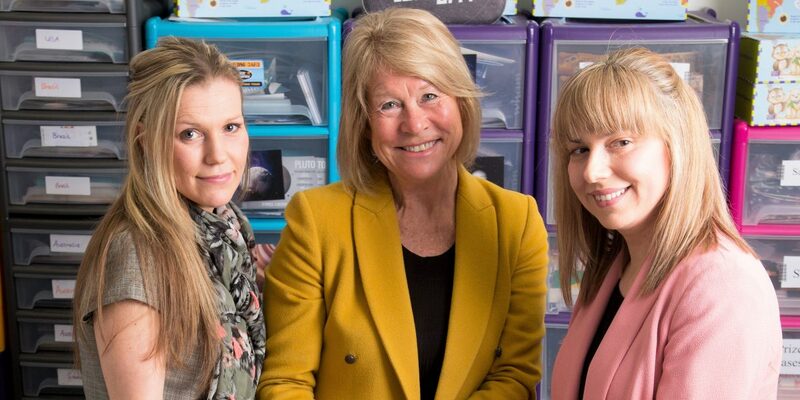 Since starting the business, Christina has subsequently recruited sister, Fiona, and with advice and support of Sunderland City Council’s Business Investment Team, Geo Journey is continuing to grow and inspire children across the globe, about the globe. Christina said: “Before creating Geo Journey I was working as a solicitor and I started this as a little bit of a hobby. I have two young children and I was struggling to find activities for them that were both fun and educational. The award-winning Geo Journey is designed to be a fun and educational subscription kit for children aged 4-10. Geo Journey teaches children about different countries around the world, while the Space Journey kit takes the children on a trip around the solar system. Fiona said: “The product is inspiring children to travel and to ask questions. Children are always eager to learn more, and this is a great way of encouraging their inquisitive nature. Each month they can learn about a different country – its culture, it’s language, it’s food. Or, they can be taken to a different planet and learn all about it from the aliens they encounter. It’s not just the product that has international aspirations, but the business too. With subscribers in New Zealand, China, America and Saudi Arabia, the sisters are keen to expand Geo Journey’s global reach. With subscribers around the world, the sisters are keen to keep up with demand and expand the business. They are currently in the process of creating new kit ideas, working with schools, and moving into retail. Christina said: “Now, we are concentrated on growing our business. We are considering products for retail and we are looking to expand our product range with new kits, like Eco Journey, which will teach children about endangered species around the world. Geo Journey is based at the North-East Business and Innovation Centre (BIC), and the council has advised and supported Geo Journey on its journey to grow and further establish itself in the region and beyond. Irene Lucas CBE, Chief Executive of Sunderland City Council, said: “Geo Journey is a wonderful business with great potential. It is innovative and interesting, and links to the school curriculum, making it an excellent educational tool. It also enables young people to travel, virtually, across the world and broaden their knowledge, through exploring and encountering various cultures and activities they might not otherwise experience.